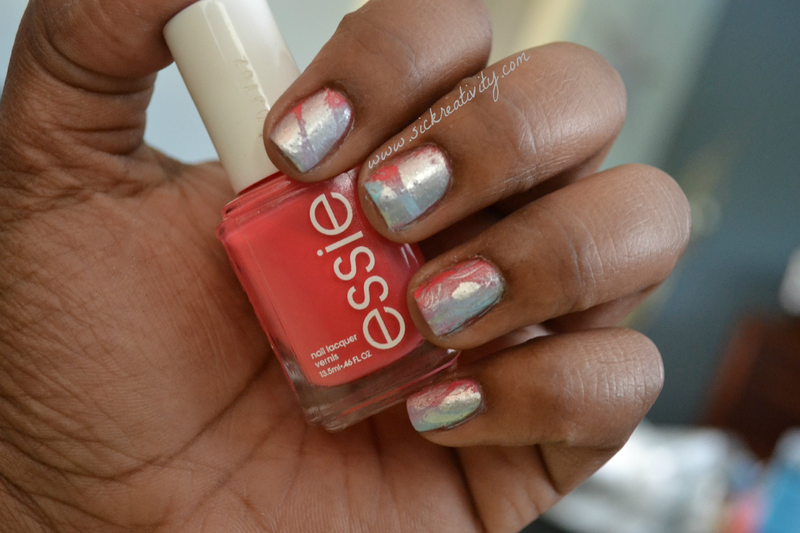 I have no real inspiration to this mani and I just thought it would be cute to do. 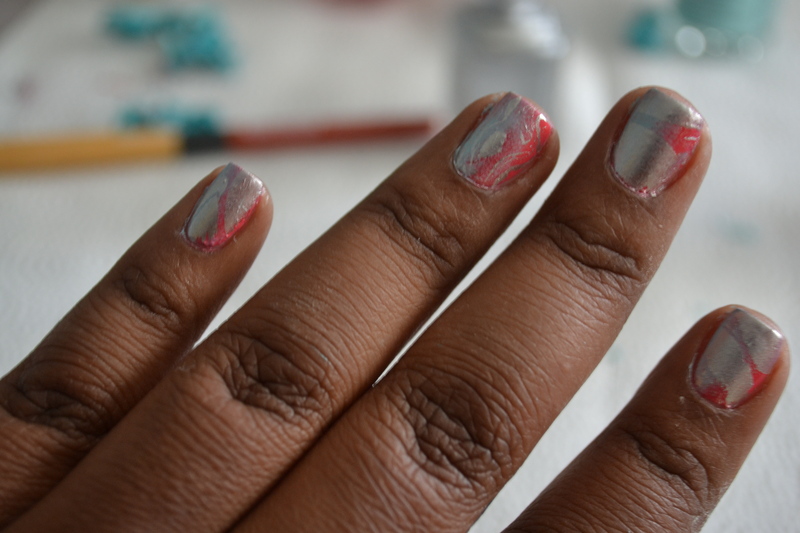 Just an idea of mine that I wanted to see executed, so here’s an how to for these “Colored Stone” looking nails. 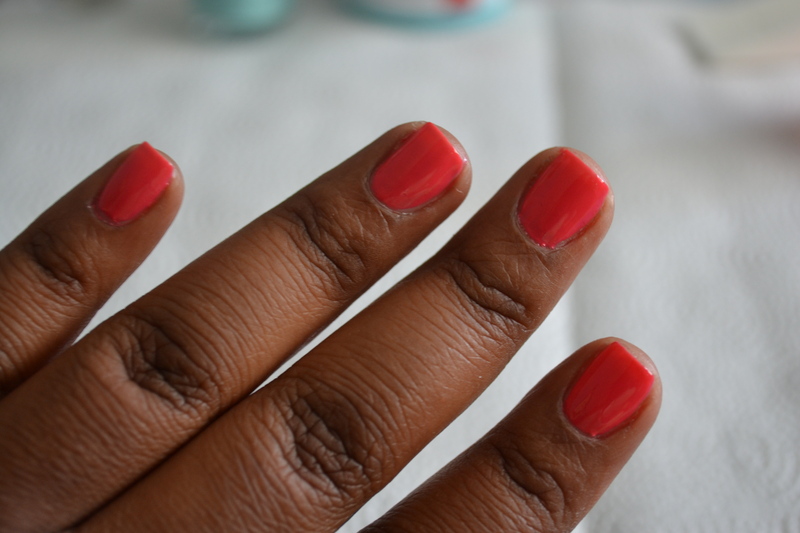 Step 1: After applying basecoat, coat your nails in your pink polish. 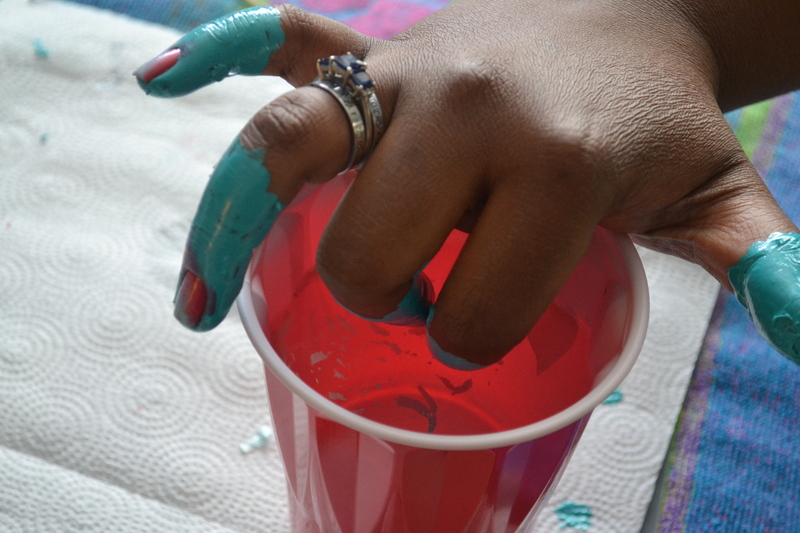 Step 2: Using a make-up sponge and sponge your second color to part of your nail. It should almost have a spay paint look to it. You can sponge on some of the first color to help with the look. 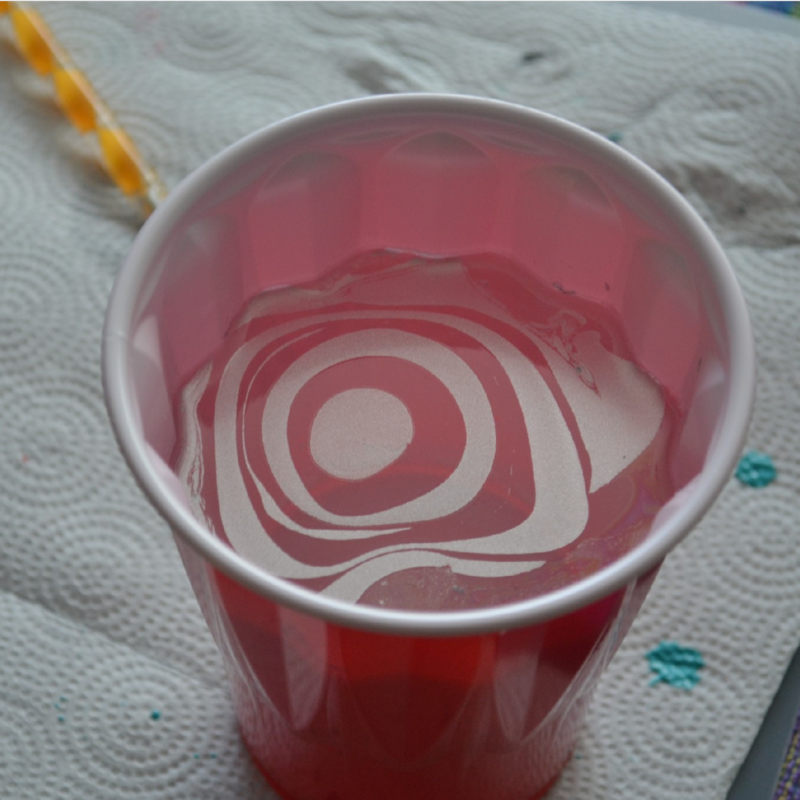 Step 3: In a cup of room temperature water, put a drop of silver polish and clear coat alternating between the two to create a bulls eye. If you don’t know, this is called a water marble . (make sure you DO NOT use a quick drying topcoat because it will dry to fast and won’t spread in the water). 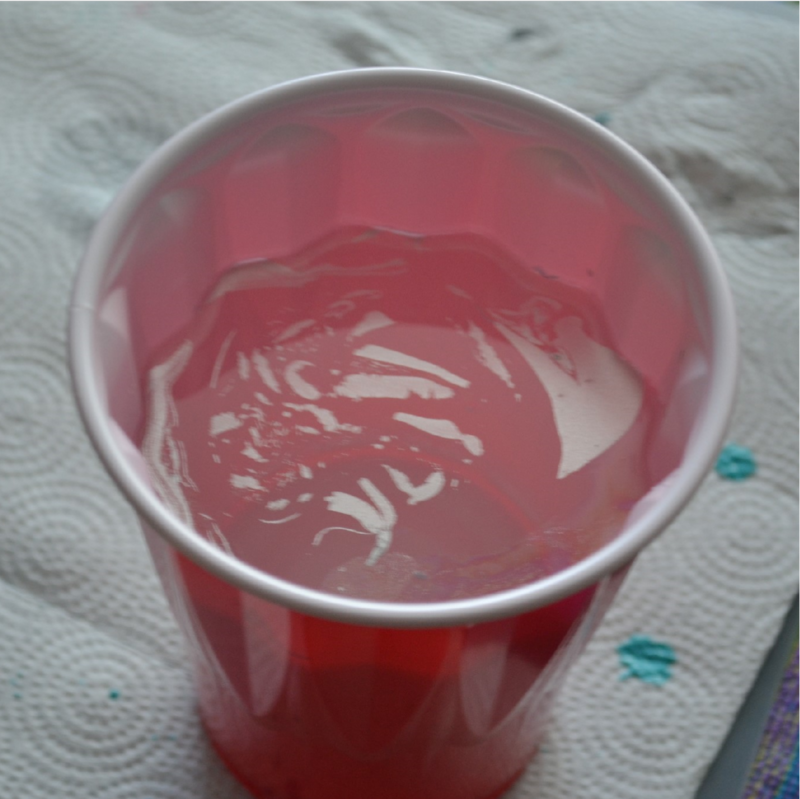 Step 4: Using a toothpick or a dotting tool, move the polish around in the water any way you choose. I found that this metallic polish breaks up when I did this, which is cool and helps with the effect. Step 5: Dip your fingers into the water, nails facing down. Now, before you do this make sure you have tape or some sort of liquid latex around your fingers because this can get messy. You don’t have to necessarily do it for step 2 like I did, but it helps. Step 6: Before you lift your fingers out of the water, using your tool again move it around the water to clean up the extra polish in the water. Then pull your fingers out of the water and it should look like this. 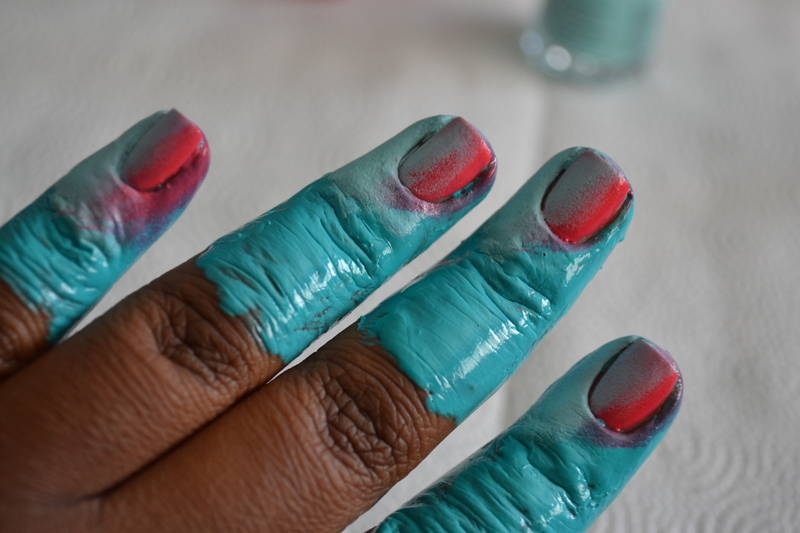 Step 7: Now you can use your quick drying top coat and coat your nails and your all done.